When you need a rifle round that you know beyond a shadow of a doubt will get the job done, the 30-06 is the round for you. 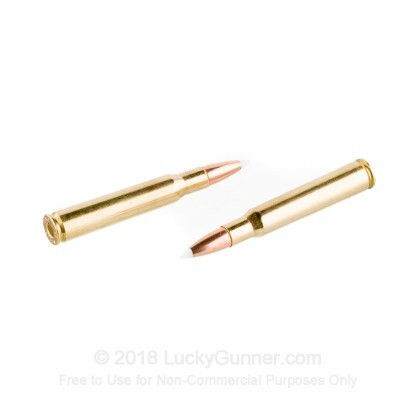 Developed by Springfield Arms in 1906, this round has served as a military cartridge for decades, and in the civilian market it is great for long range target shooting as well as hunting most North American game. Nosler creates some of the best ammunition in the world. In fact, many other manufacturers attempt to emulate the quality and consistency that this phenomenal company creates. Nosler has been in business since 1948 and their premium products are manufactured in the USA. 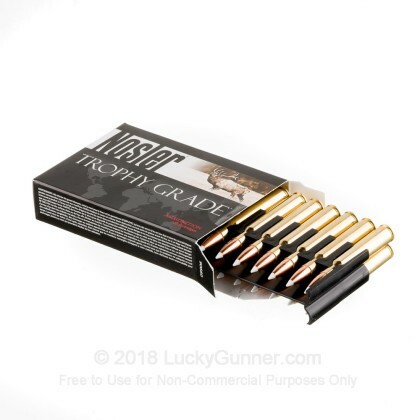 Nosler Trophy grade ammunition is a great choice for your next hunting adventure. 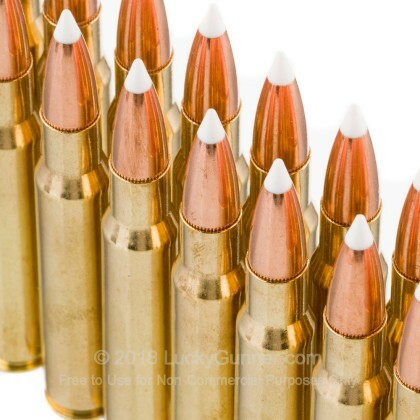 Each round features a 180 grain Accubond polymer tip projectile that leaves the barrel around 2,750 feet per second. 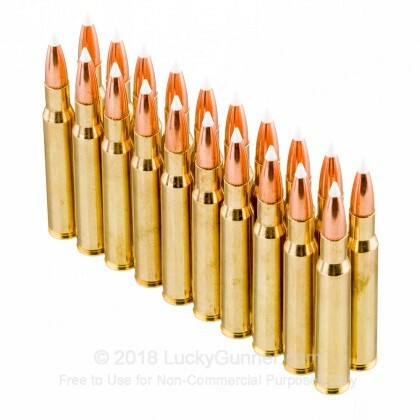 These Heavy bullets sacrifice a little velocity for added stability and increased terminal performance. You can expect to see deep, controlled expansion and excellent weight retention with these Accubond Bullets. 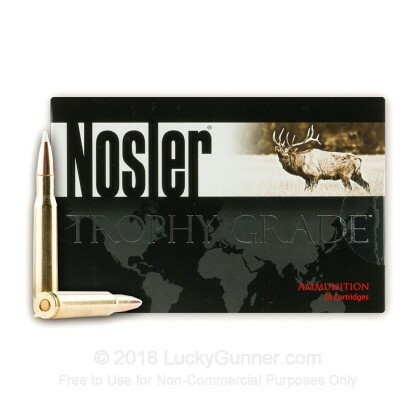 Nosler uses boxer primed brass cases that can be reloaded, pick up a a box or two today! 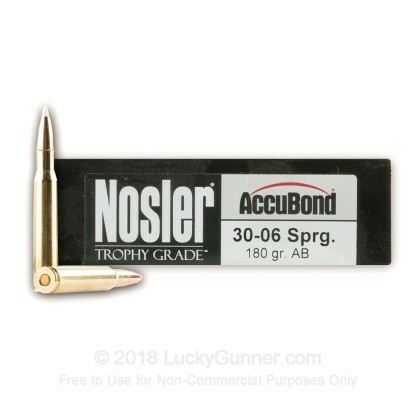 We don't have any reviews yet for this particular .30-06 ammo from Nosler Ammunition. If you'd like to be the first to review this particular .30-06 ammo from Nosler Ammunition, fill out the form below.